Fencers take some responsibility for their own development - monitored at all times by the coach. This gives the children the chance to express their wishes, moreover allowing the fencers the opportunity to learn how important communication and respecting other opinions is vital to learning. The fencer is given problems to think about and solve throughout the session. 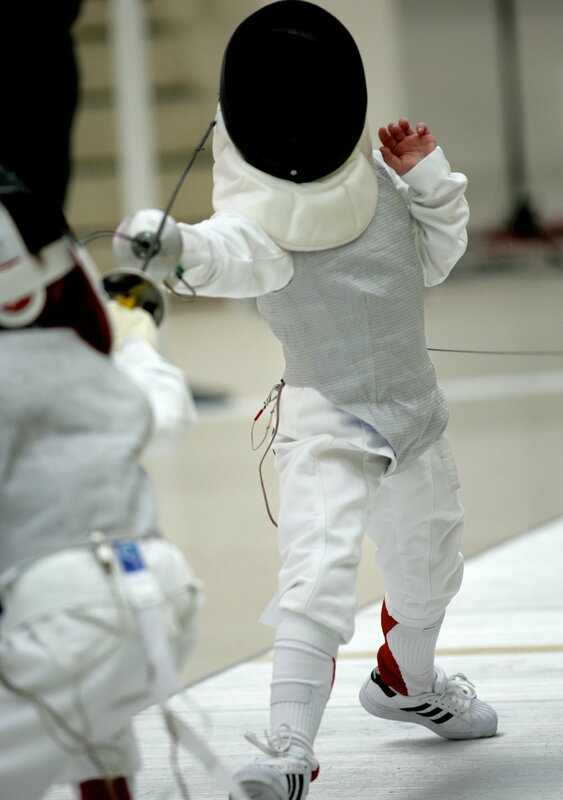 The fencer soon starts to understand why certain movements, stances and etiquette is followed for themselves. Not just because they are told to do so. Throughout the lesson our coaches monitor the safety and wellbeing of the children. We are quite strict but fair and all the children are fully knowledgeable with the rules. We aim not to start each lesson with a "Do Not" but explain and ask the children to problem solve the reasons why the rules should be followed. For those that do not wish to participate or follow the rules a warning will be given followed by exclusion for a short period of time. This normally works well as the last thing they want to miss out on is the fencing part!